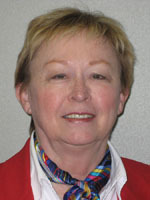 Sandra K. Enger is a faculty member at The University of Alabama in Huntsville (UAH) and associate director of the Institute for Science Education. She teaches methods courses for preservice teachers in elementary science and also undergraduate and graduate assessment courses. As a professional development provider, she has worked with international teachers from Russia, the Ukraine, and multiple Trans-Eurasian countries. Her consulting work includes development of assessment materials, conducting project evaluations, and participation in alignment studies. She graduated from Winona State (MN) University with a BS in science and a master’s degree in biological sciences. Her PhD in science education was awarded by The University of Iowa. She has had extensive classroom experience at both secondary and university levels.